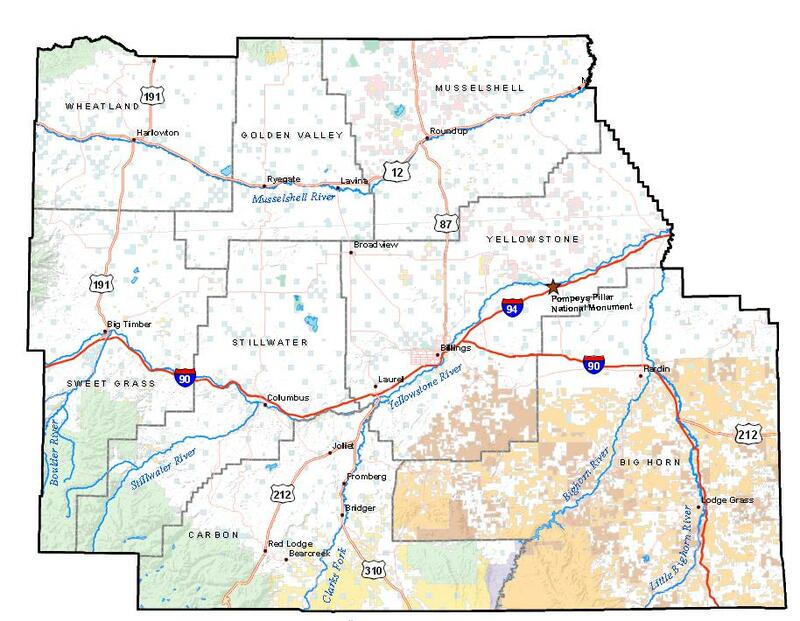 ← Do mineral rights have anything to do with citizen initiated zones in Montana? The Bureau of Land Management is proposing to sell three oil and gas leases in Stillwater County in March, 2018. Two are in Dean (MTM 105431-HW, MTM 79010-8R) and one is on East Fiddler Creek (MTM 79010-JJ). A public comment period is now open. Please make your voice heard by sending in comments about the lease by Wednesday, September 20. The BLM leasing process is governed by a resource management plan (RMP) and associated environmental impact statement (EIS). Together they provide a framework for managing BLM-administered lands and federal minerals. Stillwater County is part of the Billings BLM field office combined with the Pompeys Pillar National Monument, and are managed under an RMP that was revised in 2015. The RMP guides management of approximately 434,000 acres of BLM land and 1.8 million acres of federal mineral estate managed by BLM for Big Horn, Carbon, Golden Valley, Musselshell, Stillwater, Sweet Grass, Wheatland and Yellowstone counties in Montana, and portions of Big Horn County, Wyoming. This recent revision is important, since the RMP is only updated every 25 years or so. Changes to the RMP, along with the clear direction of the Trump Administration to remove regulation that block drilling, make it more likely that these leases will be approved than it was in 2014, the last team BLM leases were considered in Stillwater County. Leases on BLM land are put up for sale when there is a request from a company that wants to exploit mineral resources. The process is governed by the National Environmental Policy Act (NEPA), which requires federal agencies to integrate environmental values into their decision making processes by considering the environmental impacts of their proposed actions and reasonable alternatives to those actions. To meet NEPA requirements federal agencies prepare a detailed statement known as an environmental assessment. EPA reviews and comments on environmental assessments prepared by other federal agencies, maintains a national filing system for all assessments, and assures that its own actions comply with NEPA. Statutory and legal responsibilities relative to use of land and water. 2. Preliminary environmental assessment: Public review of preliminary environmental assessment. This process takes 30 days before the final environmental assessment. Given the change in environment at BLM, there is a current push to evaluate these leases without the full EIS process. In making your comments, you might want to consider some of these points. The first is most important. Public process. A 15 day scoping period is inadequate for Dean and surrounding communities to properly evaluate this leases. There are significant issues that must be evaluated, and a full environmental impact statement is required. There are environmental and social and economic impacts that a lease decision will impose on this community that must be properly evaluated. Yellowstone Cutthroat Trout Suitable Recovery Habitat. A thorough assessment of the Yellowstone Cutthroat Trout (YCT) habitat in parcels MTM 79010-8R, MTM 79010-JJ, and MTM 105431-HW should be conducted. As a priority wildlife species, yellowstone cutthroat trout warrant specific and strong action to protect and enhance not only existing habitat, but also potential YCT habitat. The high elevation waters of these parcels along the Beartooth Mountain Front are suitable to support coldwater fish like the YCT, and therefore should be opportunistically managed for YCT residency whether or not Meadow, Fishtail, Fiddler, and/or West Rosebud Creek are YCT-bearing waters at this time. Considering BLM’s regulation requiring No Surface Occupancy (NSO) within ½ mile of YCT habitat, the BLM should analyze whether any oil and gas development could occur within or near these parcels without violating this requirement. We note that there has been excavation on a drill location very near the boundary of MTM 105431 HW and MTM 79010-8R. Two branches of Meadow Creek flow directly through these two parcels, and downstream from the lease parcel the two branches combine and the stream flows adjacent to the margin of the drill location excavation. Meadow Creek flows into Fishtail Creek about one mile east of lease parcel MTM 105431 HW creating another potential impact area. Similarly to the two adjacent parcels, the East Fork of Fiddler Creek flows through MTM 79010-JJ, which flows into West Rosebud Creek. Maintenance of soil and wetland resources. Beyond concerns for the yellowstone cutthroat trout, the BLM should consider soil and wetland resources of these parcels. As previously indicated, Meadow Creek runs through parcels MTM 105431-HW and MTM 79010-8R, while East Fork of Fiddler Creek flows through MTM 79010-JJ and these parcels should be considered for their resource value.Furthermore, the land in these parcels as historically agricultural land, has significant resource value in maintaining healthful and productive soils. The value of the surface as productive rangeland should be evaluated in detail by the BLM before any oil and gas development is considered. Historic preservation of the unincorporated township of Dean and surrounding ranch structures. As mentioned by the BLM in the proposed deferral in leasing of parcel MTM 105431-HW and MTM 79010-8R, the parcels include the unincorporated township of Dean. As a pioneer village with a history stretching back to the 19thcentury, the Dean site is potentially important to the history of both homesteading and mining in the area. BLM should evaluate the historic resources represented by the Dean townsite, the Dean schoolhouse, and adjacent ranches as historic properties subject to compliance with the National Historic Preservation Act. In addition, the geologic feature adjacent to Dean on the west, Fishtail Butte is a site sacred to Native Americans, specifically the Crow Indians. Crow oral histories indicate that this is a historic vision quest site attributable to the important Crow chief, Medicine Crow. BLM should analyze this area as a potential Traditional Cultural landscape. Socioeconomic impact on the Township of Dean and surrounding properties. The BLM should consider socioeconomic impacts to the modern unincorporated township of Dean. Over the past several years, the surrounding area has experienced a transition from a primarily ranching community to a mixed amenity-based pattern of land ownership, intermixed with the traditional ranching community. The BLM should consider how oil and gas development could harm the new and developing community center Dean has become.Specifically, BLM should consider impacts to surrounding property values that are currently supported by unimpeded views and the aesthetics represented by the absence of light pollution and the spectacular viewshed of the Beartooth Mountains—one of the most iconic viewsheds of the Northern Rocky Mountain Front and even the nation. The impact of industrial development should be considered in light of the positive economic impact of a new social group of property owners that are important to this immediate area, providing low impact increases to the tax base and general prosperity of the community. Additionally, the BLM should fully evaluate how the visual, auditory, and interference in the amenity values would affect Dean’s commercial base. The BLM should analyze how a well pad site located on or near (see above comment regarding cutthroat trout habitat) parcel MTM 105431-HW and MTM 79010-8R within view of Dean would impact its status as a community center. Adjacent oil and gas leases. As noted above, SPA is aware that BLM lease parcel MTM 105431-HW is adjacent to other non-federal minerals and private oil and gas leases that have already seen the establishment of a pad for a presumed drilling location. The potential for drainage problems notwithstanding, BLM should make its decision based on impacts to the resources mentioned above. Other methods exist to address drainage besides a positive lease decision, even with NSO imposed, on a parcel that affects the important resource values already stated above. Thanks to Cameron Clevidence at Northern Plains Resource Council for his help in putting together this post. This entry was posted in Community Organization and tagged action alert, BLM, Bureal of Land Management, oil and gas leases, public comment. Bookmark the permalink.